Dr. Scott Routenberg from Indiana is chosen as the recipient of the ASCAP Foundation/Symphonic Jazz Orchestra Commissioning Prize! The commission was created to honor the legacy of the trailblazing musician George Duke, who was the SJO Co-Music Director and an ASCAP board member. The Symphonic Jazz Orchestra’s esteemed Music Advisory Board was tasked with the job of screening the numerous submissions from across the county, ranging from leading jazz veterans to promising young composers. Last week, Routenberg was selected to receive the $10,000 commissioning prize. Dr. Scott Routenberg enjoys a versatile and prolific career as an award-winning jazz pianist, composer, arranger and orchestrator. In 2004, he won the prestigious John Lennon Songwriting Contest Maxell Song of the Year. Since 2011, Routenberg has received multiple commissions as an arranger and has had orchestral premieres by the Atlanta, Houston, Baltimore, Phoenix, Orlando, Naples and Indianapolis Symphony Orchestras, among many others. His jazz compositions and arrangements have been performed by the Metropole Orkest and the New York Youth Symphony Jazz Band Classic, as well as by musicians such as Howard Levy, Christian Howes and Ernie Watts. 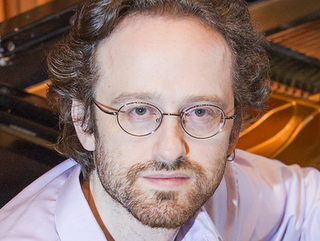 He is currently Assistant Professor of Jazz Piano at Ball State University. The ASCAP Foundation / SJO Commissioning Prize is made possible in part by a grant from The ASCAP Foundation’s Louis Armstrong Fund and the SJO’s Commissioning Club. Founded in 1975, The ASCAP Foundation is a charitable organization dedicated to supporting American music creators and encouraging their development through music education, talent development and humanitarian programs.